You probably recognize if you need to lose some weight, but how might weight loss improve your sleep? And how much weight do you need to lose? From snoring to sleep apnea, weight loss can have significant benefits and lead to better rest. Discover how weight loss may improve your sleep and reduce your risk of sleep apnea. For those who are overweight or obese, this excessive weight can be ruining your sleep and your health. The biggest sleep impact may be on your breathing: Being overweight is clearly linked to sleep apnea, a condition in which the upper airway collapses during sleep. It may also increase upper airway resistance. This can have serious consequences, including causing obesity hypoventilation syndrome and may even lead to a stroke or sudden death. By eliminating the extra pounds, you can improve your breathing and general health. It is possible to normalize your oxygen and carbon dioxide levels during sleep and wakefulness. By resolving your sleep apnea, you may improve your lung and heart function as well. There can also be unexpected benefits, including improving your blood pressure and blood sugars. Can Weight Loss Improve Snoring? Research seems to suggest that weight loss can, indeed, improve snoring. 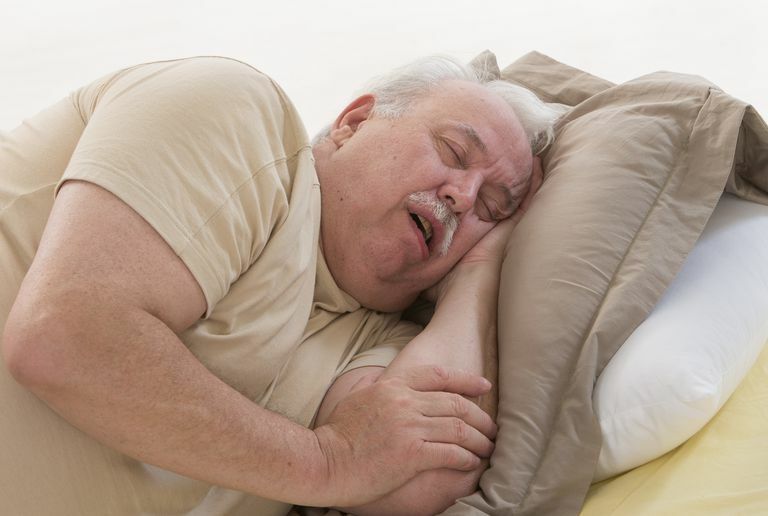 In a study of 20 asymptomatic obese men who snored heavily, a significant reduction in snoring was associated with an average weight loss of just 6.6 pounds. In those who lost more weight -- an average of 16.7 pounds -- snoring was completely eliminated. However, some patients who lost even more weight continued to snore. Therefore, most people who lose weight will likely reduce their snoring, but it doesn’t necessarily help everyone. There may be other factors contributing to snoring, including anatomy problems like a deviated septum. Nevertheless, weight loss may be a reasonable goal due to the overall benefits it may have on your health. There is no reliable way to predict how much weight you should lose, and it must be considered on a case-by-case basis. It would be best to discuss your goals with your doctor to determine the best plan for yourself. In general, a 10% body weight loss is helpful for most people who are overweight or obese. Depending on your weight, this may not be adequate to significantly impact your risks. Diet: Cut calories, reduce portion sizes, eliminate fast food, and eat more fruits and vegetables and less processed foods. Many benefit from participating in a structured weight loss program to help them reach their calorie goals. Exercise: Consult with your doctor and select an activity that you will enjoy. Low-impact exercise like walking, biking, and swimming can be helpful. Some people enjoy aerobics or yoga. Higher-intensity activity like running may burn a lot of calories, but it can be harder on the joints of the body. If it would motivate you to join a gym, this might be a way to access classes and exercise equipment that might be too expensive or large to have at home. Behavioral Changes: Sometimes food is a way that we cope with stress. When our mood is poor, or we are feeling stressed, we might reach for something to make us feel better. We might have snacking behaviors. At work, we might eat sweets or drink high-calorie coffee drinks to get through the day. These calories can add up, and it may be helpful to substitute other activities, like a lunchtime walk, to reduce our weight. Medication and Weight Loss Supplements: In some cases, the use of medications or weight loss supplements may be a useful addition when diet and exercise are not enough. These medications may be stimulants. They can often have unwanted side effects. Speak to your doctor before starting a new medication to ensure that it is safe for you to use. Bariatric Surgery: Finally, some people may require surgery to reduce the capacity of the stomach. This can restrict the amount of food that can be consumed. Over time, this leads to dramatic weight loss. Surgery is not without risks, and it is often required to demonstrate some motivation with weight loss prior to the procedure. It is very important that weight loss occurs in a controlled manner with appropriate medical supervision. Rapid, unsupervised weight loss is rarely successful in maintaining your ideal weight over the long term. Weight loss may reduce the degree of snoring and your risk of sleep apnea. If you have persistent sleep apnea, the use of continuous positive airway pressure (CPAP) may be an important part of your health and weight loss goals. There is also considerable evidence that getting adequate sleep may improve metabolism and reduce unwanted weight gain. Braver, HM et al. "Treatment for snoring. Combined weight loss, sleeping on side, and nasal spray." Chest 1995;107:1283. "Methods for voluntary weight loss and control." NIH Technology Assessment Conference Panel. Ann Intern Med 1992;116:942. Sugerman, H et al. "Long-term effects of gastric surgery for treating respiratory insufficiency of obesity." Am J Clin Nutr 1992;55:597S.